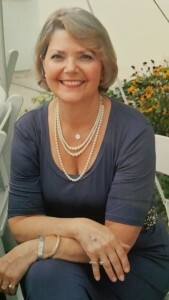 As a Certified Holistic Lifestyle Mentor Patricia Ann Dooms practices and educates on many of the topics and modalities associated with that lifestyle. Having begun her journey nearly 20 years ago, she celebrates life on all levels–physical, mental, and spiritual– through her 4-Directional Wellness Program. Patti Ann incorporates a variety of healing practices and concepts in this program and presents them in healing sessions, workshops, and classes on a regular basis. Frequently referred to as the “Mentor from Mentor“, after receiving her Usui Reiki Mastership in 1998, Patti went on to become a Master Numerologist, assisting her clientele with a form of ‘Soul Therapy’ in order to assist them on their path and to learn their purpose for this lifetime. As an Educator, Patti Ann gives instruction in all of the energy healing modalities that she incorporates into her FeatherTouch 4-Directional Healing sessions, embracing Chakra Healing/Balancing, Reiki, Reflexology, Guided Imagery, Crystal Healing, Aromatherapy, Applied Kinesiology, and the 9-Rites of Munay Ki. She also teaches concepts of Science of Mind, including The Energy of Cash Flow/Law of Attraction and the Power of Mind/Heart Alignment. It is also her greatest pleasure to share those practices that the majority of us do not recognize as therapeutic, simply because they lean toward the more creative aspect of the healing arts. These would include music and sound, color and light, numerical vibration, and a vast array of traditions that have been used for thousands of years to heal the body, strengthen the mind, and uplift the spirit. For several years, Patti has channeled those known to her as “Anna and the Angels”, but has only recently made their presence public. Prior to that, they were guides who assisted her in her healing work and her writing. Recently however, they have become the focus of her work, as they have become more present, and are eager to assist the world in its evolutionary process. As an ordained minister, Patricia is also a wedding celebrant, specializing in ‘theme’ weddings. No two ceremonies have been the same, and she enjoys the opportunity of becoming acquainted with her couples in order to assist them in creating a unique celebration which reflects them personally. In addition to weddings, she also performs christenings, vow-renewals, house-blessings, and many other rites of passage. Patricia hopes that with her help, you will…. And allow yourself to be touched by a feather.